A properly designed air duct system is a significant factor in the health of your home and the size of your utility bills. A contaminated ductwork system can affect your family's health while an improperly sealed system can boost your energy usage. Sometimes when an air duct system has become contaminated with particles of dust, pollen or other debris it is beneficial to have it cleaned. Additionally, if moisture is present, the potential for mold to grow is increased, and you don't want mold spores released into your home's indoor air. ALL WEATHER HEATING and COOLING provides duct cleaning services to protect the quality of your indoor air. Did you know that duct cleaning done improperly can actually harm your indoor air quality instead of help it? We do the job right which includes cleaning all of the components of your HVAC system to avoid any re-contamination (in the case of mold, etc). Ductwork design and installation plays a key role in the efficiency of your HVAC system and the quality of your indoor air. Air ducts not sealed correctly end up taxing your air conditioning and heating system as conditioned air is wasted due to air leaks. 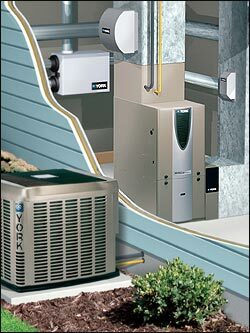 This costs you on your monthly utility bill and can also introduce contaminants into your home. ALL WEATHER HEATING and COOLING is dedicated to helping you ensure your ductwork is done right. Why spend extra money for a high efficiency air conditioner, heat pump or furnace if you are going to send 20% of the conditioned air out through leaky ducts? 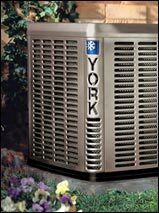 Additionally, for maintaining healthy indoor air we highly recommend the line of York® indoor air quality components that work together as part of your HVAC system to clean and purify the air in your home. If you have questions about our sealing / installation services or indoor air quality in general, please don't hesitate to call us at 931-551-9891. Thank you for your interest in ALL WEATHER HEATING and COOLING of Clarksville, TN!